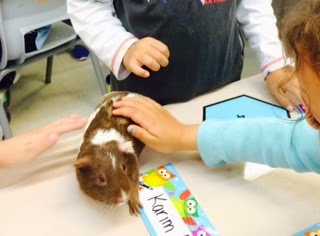 yesterday was a special day in SK2 :) we had a visit from our friend Abdallah's pet guinea pig. 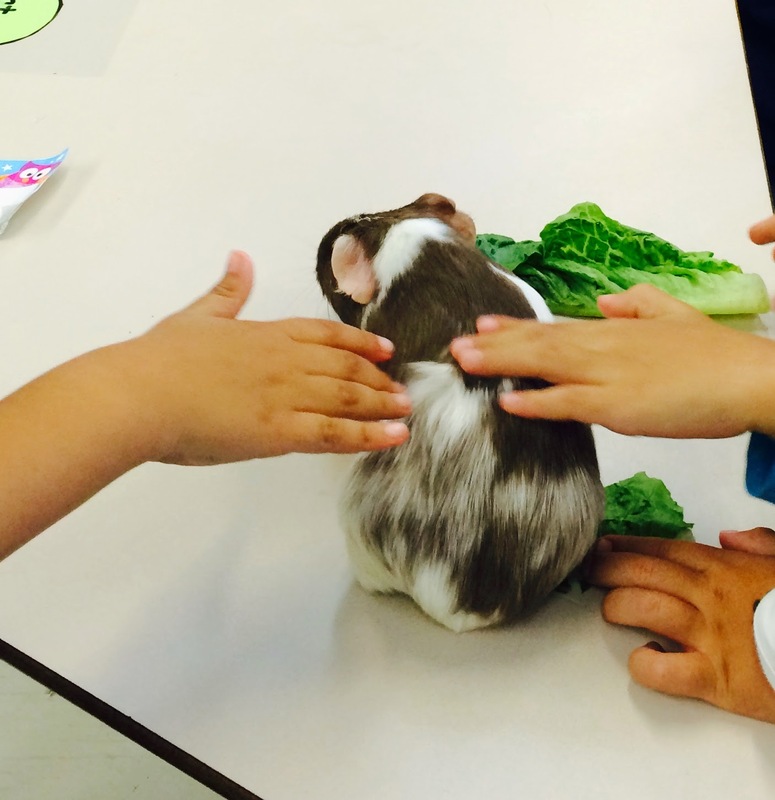 The children had the opportunity to learn about guinea pigs, and they got to pet him and see him sniffing and exploring our classroom. Thank you so much to Abdallah's family for brightening up our afternoon with this lovely visit.